It has been far, far too long since my last empties post (here), so brace yourself for an epic rundown of everything I finished up over the past few months. I love these type of posts because it’s so helpful to reevaluate my thoughts on a product once I’ve used it all the way to the end. It’s important to me to see if my first impressions still stand or if my feelings have totally changed, as it has done with some of these. Most of the products included in this post have been fully reviewed on the blog already, so this is just a brief final overview of my thoughts and experiences, a “last impressions” if you will, before the empty bottles hit the trash. Not everything here was used up by me and not everything was a success, so keep reading to find out which ones I loved to the very last drop and which ones didn’t get that all important “repurchase” seal of approval. When this little bottle of sunshine launched last year I was so excited about it (review here). Vitamin C is so important for great looking and healthy skin, and I was happy to finally be incorporating it in to my routine. At first, this worked really well for me – my skin was bright and clear, and even had a lovely glow to it, but after about 3 months or so my skin started to “reject” it. It caused some irritation and breakouts and I began using less and less to try and minimize this, until it kind of became pointless and I gave up. There wasn’t anything wrong with the product, I just think my skin was in a weird place due to lots of travelling, which is such a shame because I loved the initial results. I ended up passing this on to my mum, who absolutely loved it and saw even better results than I did and she’s the one who finished it up. My experience with this product changed drastically from start to finish, which is why I think ‘empties’ posts are so helpful. I still think vitamin C is an ingredient I’d like to incorporate in to my routine and thanks to The Ordinary, I now have multiple options to try at a much less “risky” price. I think it’s all about finding the right formula and percent of vitamin C that works for your skin and I am hoping one of them will be right for me. Repurchase? No, I am going to try the vitamin C products from The Ordinary instead. 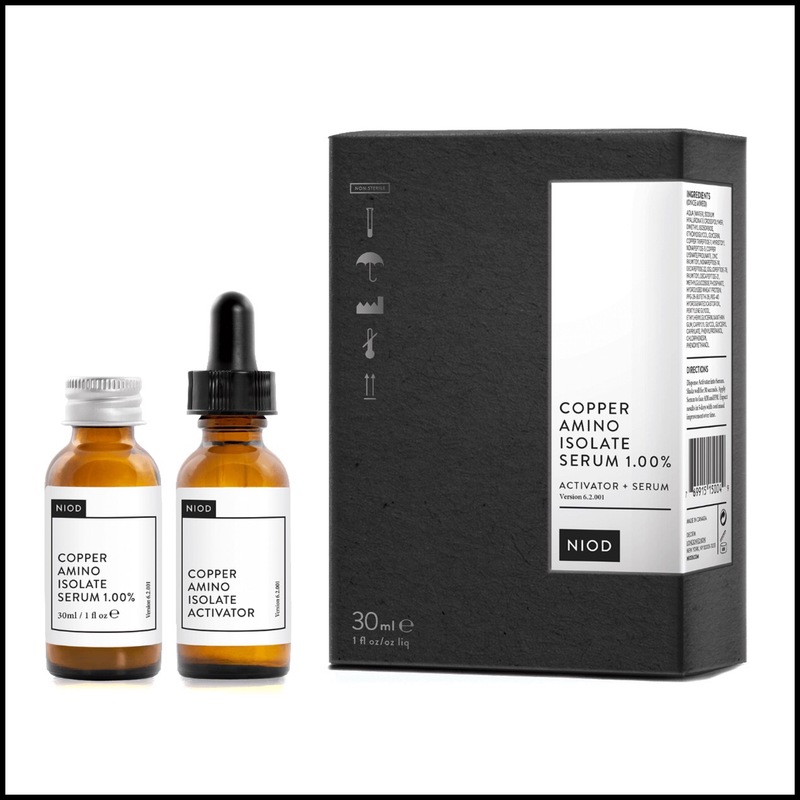 Ingredients: Aqua (Water), Sodium Hyaluronate Crosspolymer, Dimethyl Isosorbide, Ethoxydiglycol, Glycerin, Copper Tripeptide-1, Myristoyl Nonapeptide-3, Copper Lysinate/Prolinate, Zinc Palmitoyl Nonapeptide-14, Decapeptide-22, Ogliopeptide78, Palmitoyl Decapeptide-21, Methylglucoside Phosphate, Hydrolyzed Wheat Protein, PPG-26-Buteth-26, PEG-40 Hydrogenated Castor Oil, Pentylene Glycol, Ethylhexylglycerin, Xanthan Gum, Caprylyl Glycol, Glyceryl Caprylate, Phenylpropanol, Chlorphenesin, Phenoxyethanol. There is probably nothing more I need to say about this wonder product at this point, other than if you haven’t tried it yet, your really should. I’ve lost count of how many of these I have been through since it launched and it is one of the few products I can see myself using forever, because it’s that good. I have wrote about it so many times on the blog and have a review here you can check out, but I know you’re all pretty familiar with it by now. The only thing worth adding is that this works so incredibly well with SDSM, so if you haven’t tried the two together yet, I highly recommend that combo. Repurchase? Yes! Without a doubt, I will always have this in my stash. Ingredients: Rosa Damascena Flower Water, Dimethyl Sulfone (MSM), Glycerin, Niacinamide, Sodium Hyaluronate, Benzyl Alcohol, Whey Protein, Zinc Glycine, Arnica Montana Flower Extract, Laminaria Digitata Extract, Malus Domestica Fruit Cell Culture, Limonium Narbonense Flower/Leaf/Stem Extract, Saccharomyces Ferment Filtrate Lysate, Galactoarabinan, Panthenol, Biosaccharide Gum-1, Lecithin, Xanthan Gum, Tocopherol, Dehydroacetic Acid, Phenoxyethanol, Lactic Acid. It’s not easy for me to use up products in this category because I struggle to use them consistently due to my sensitive eyes, but this one I loved. I picked it up last November (review here) when Cult Beauty had their goody bag promotion and finished it over the summer. It’s one of the few eye products I enjoyed using and found easy to use daily, which doesn’t happen often for me. 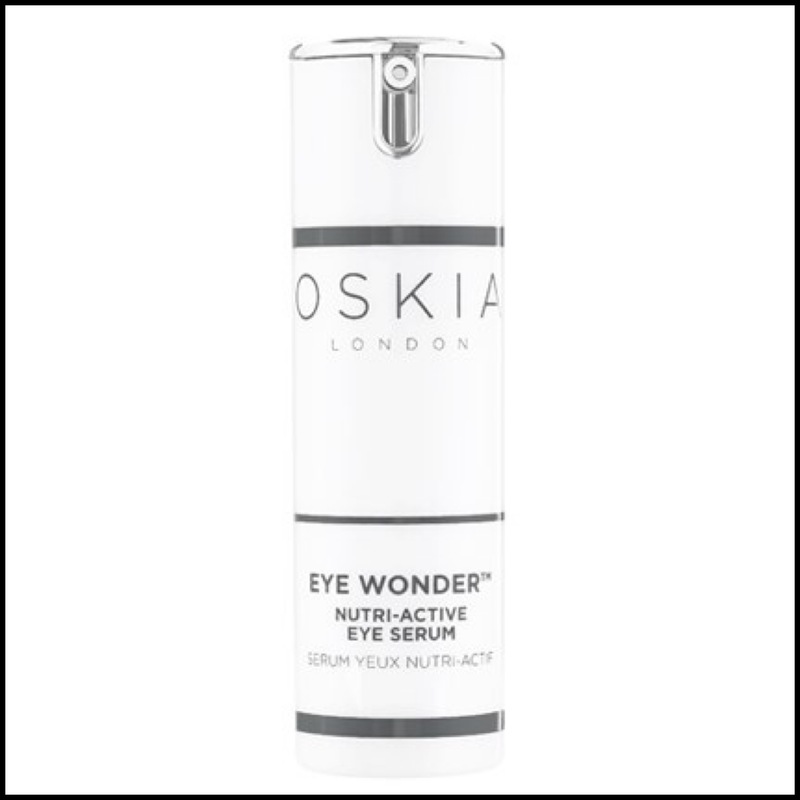 I definitely saw results with this and my eye area was firmer, more hydrated and brighter. It has a great ingredients list and the only thing I don’t really like about it is the packaging. Yes, it’s hygienic and I believe airtight, but it’s also hard not to dispense too much and sometimes the product congeals in the nozzle, which I don’t like. Other than that this is now one of my favourite eye serums and the fact that I actually used it all up is a testament to how great it is. Repurchase? Yes, but I am currently testing the new Caffeine Solution from The Ordinary. Ingredients: Aloe Barbadensis Leaf Juice, Aqua, Snail Secretion Filtrate (Helix Aspersia Muller), Glycerin, Polyglyceryl-3 cocoate, Sodium Hyaluronate, Phenoxyethanol, Potassium Sorbate, Ethylhexylglycerin, Disodium EDTA, Sodium Hydroxide, Litsea Cubeba Oil, Cymbopogon Schoenanthus Oil, Citrus Aurantifolia Oil, Citral, Citronellol, Limonene, Geraniol, Linalool. I have loved and used this skin soothing gel for a few years now and it is such a brilliant multi-use product. 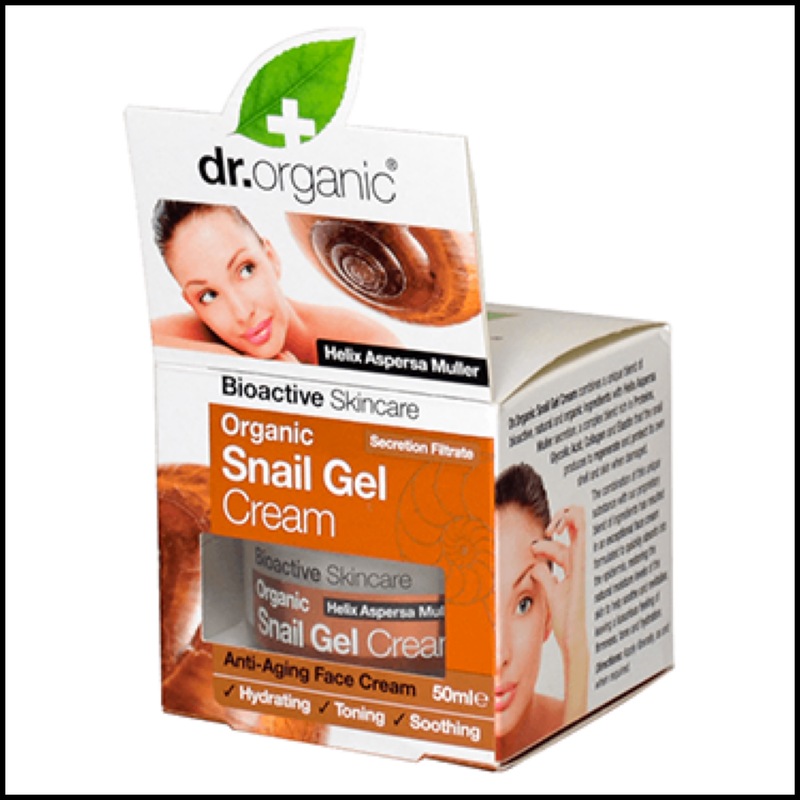 Snail filtrate repairs, soothes, heals, protects, softens, brightens and hydrates and along with aloe vera, will calm your skin like nothing else. This was used a lot over the summer and actually functioned as my moisturizer on days when I was working inside from sun up to sun down (boo!) and didn’t need an spf. I have used this as hydrating mask and it also works really well to heal blemishes without drying them out. I haven’t done a full review of this yet, but it was in an empties last year (here) and I will add it to my very long “to blog about” list. It’s a weird product because it’s totally un-hyped and I really don’t use it that often, but I always have one in my stash and when I do use it, I’m immediately reminded of why I always keep one around. It works so very well at calming and soothing the skin and has saved mine many times. More on this to come soon! Repurchase? Yes, I already have another one in rotation. Another product that needs no introduction at this point is this beautiful oil from La Belle Lune. You all know how much I love this by now and the fact that I have used up yet another one this year proves my devotion to it. It is my most used oil by far and my skin is pretty addicted to it. I have a full review of it here and it’s been featured on my blog numerous times. This is easily one of my best discoveries of the year and it makes me happy that so many of you now love it as much as I do. I would love to see an essential oil free version of this, as I know many of you have allergies that prevent you from using it, and I think that’s such a shame. It’s an amazing product and is one I recommend to everyone and like CAIS, is a product I can see myself using forever because I just adore it. Repurchase? Without a doubt, it’s the best. 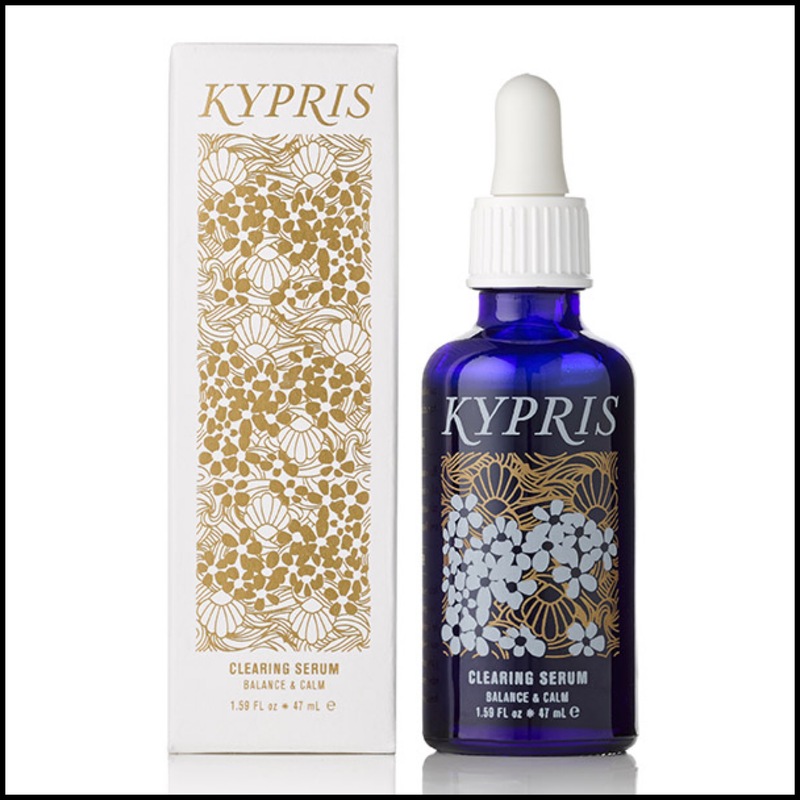 Kypris are easily one of my all time favourite green beauty brands and this year they have knocked it out of the park with their new products. I love the cleanser and sunscreen and have a sample of the Deep Forest Clay mask that I can’t wait to try, plus I have now fallen in love with the beautiful looking and sounding Glow Philtre, which launched just last week and is now at the top of my shopping list. The brand has expanded in the most wonderful way, but this is the product that started it all for me. I absolutely love this serum and have done a full review on it here and it’s one that I always like to have on hand for preventing any breakouts and keeping my skin in check. It’s extremely gentle, but for me it works so well at healing small blemishes without drying my skin or being too aggressive. This is my second bottle and I repurchased a third without even thinking about it, so that kind of says it all. As I already mentioned, not all of the products here were finished by me and this is another one of them. Moisturizers really aren’t my thing at all and it takes a lot for me to love one, and while this was a great product at a fantastic price, it didn’t really do much for me. It’s geared towards those with sensitive skin and if that’s you then I think this could be great – it’s calming, soothing, hydrating and doesn’t feel heavy at all. There really wasn’t anything wrong with this moisturizer, it just didn’t suit my skin’s needs, so I passed it on to my lovely friend (with sensitive skin) who finished it with no trouble and really enjoyed it. Repurchase? No, but if you have sensitive skin, check it out. Ingredients: Aqua, Hamamelis Virginiana (Witchhazel) Water*, Simmondsia Chinensis (Jojoba) Seed Oil*, Cannabis Sativa (Hemp) Seed Oil*, Polyglyceryl-3 Rice Brannate, Helianthus Annuus (Sunflower) Seed Oil*, Cera Alba (Beeswax)*, Alcohol*, Prunus Armeniaca (Apricot) Kernel Oil*, Mel (Honey)*, Lecithin*, Calendula Officinalis Flower Extract*, Myrtus Communis Leaf Extract*, Olea Europaea Leaf Extract*, Olea Europaea Fruit Oil*, Amorphophallus Konjac Root Powder, Aloe Barbadensis Leaf Juice Powder*, Backhousia Citriodora (Lemon Myrtle) Leaf Oil*, Leptospermum Petersonii (Lemon Tea Tree) Oil*, Citrus Grandis (Grapefruit) Peel Oil*, Lavandula Angustifolia (Lavender) Flower Oil*, Gluconolactone, Sodium Benzoate, Calcium Gluconate, Parfum*, Limonene+, Linalool+ * Organic + Naturally occurs in essential oils. Again, moisturizers are not my “thing” and even though I absolutely love the cleanser and toners I have tried from this beautiful brand, I struggled to love this one in the end. It was really lightweight and at first I thought it was going to be perfect for me, but after awhile my skin just did not react well to it, and that’s possibly due to the somewhat high beeswax or alcohol content. My skin is quite temperamental when it comes to moisturizers, so I passed this on to a friend who is now a huge fan of the whole Lemon Myrtle line. 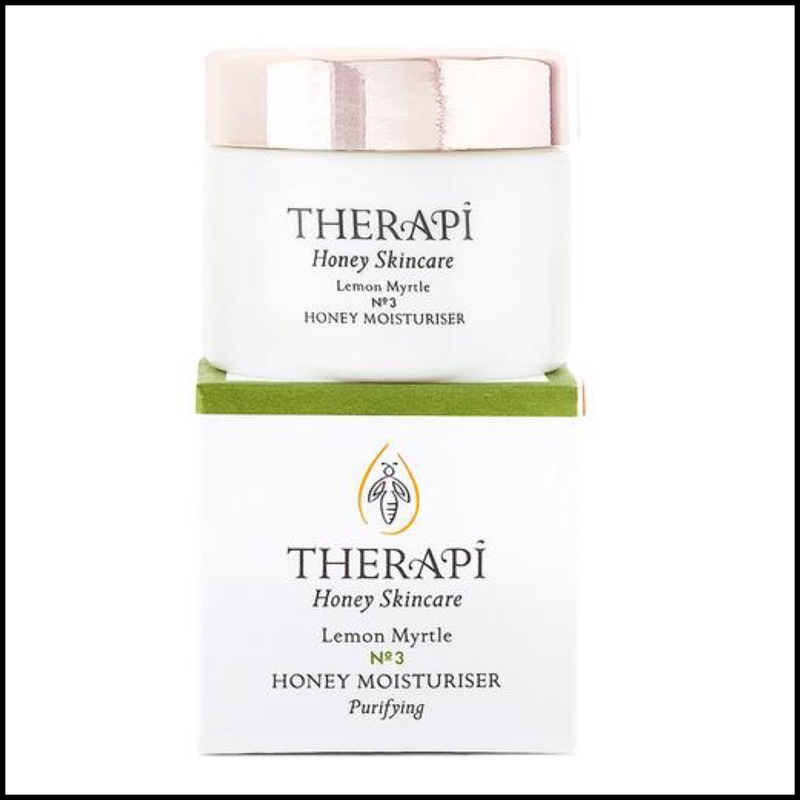 I’m sad I didn’t get on with this, but I’m hoping Therapi will do a balm or oil at some point down the road because those my skin much prefers those. 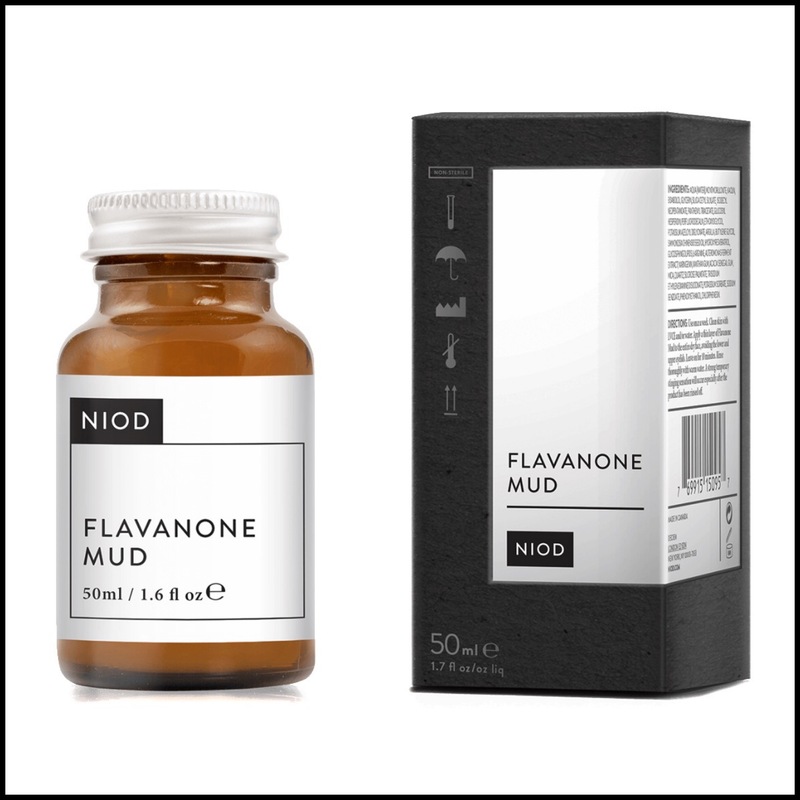 As with pretty much everything I try from NIOD/Deceim, I loved this from the very first time I used it and it quickly became my go-to product for calming inflammation and preventing the formation of any blemishes. Despite the fact that I absolutely love this masque, I am so happy to be finished with it because this packaging is not for me. I struggled much more than I should have and the sad thing is, there’s some still in there that I couldn’t get out. Thankfully, I can now move on to my 100ml tube from QVC, which is a breeze to use. I hope they either change the packaging of the 50ml too, or refine the formula so it’s easier to get out of the jar like Myrrh Clay (I love it and will review it soon). Back to the actual product, it’s a total winner for me. My skin is much more calm, balanced and “stable” and freaks out far less often and I rarely have blemishes anymore, and while that’s due to a combination of things, this product is a big part of that. I instinctively reach for this when it’s time to mask and I love the results it gives (review here). Ingredients: Caprylic/Capric Triglyceride, Glycerin, Aqua, Cetearyl Olivate, Sucrose Laurate, Benzyl Alcohol, Sorbitan Olivate, Sucrose Palmitate, Parfum (Natural), Geraniol*, Dimethyl Sulfone (MSM), Citronellol**, Dehydroacetic Acid, Lactobacillus/Cucurbita Pepo Fruit Ferment Extract, Borago Officinalis Seed Oil, Sucrose Stearate, Linalool**, Retinyl Palmitate, CI77491 (natural iron oxide), Jojoba Esters, Tocopherol, Ascorbyl Palmitate. **Component of natural essential oils. All Natural Ingredients. One of the reasons I love doing these posts is to track how quickly I use up a product and clearly I love this cleanser because despite the many others that I have and adore, I still managed to finish up two of these this year. The first was in my last empties post (here) and this one just ran out about 2 weeks ago. This is my go-to cleanser when my skin is in a happy place and I want to use something to keep it that way. It’s soothing, hydrating, balancing, healing and leaves my skin feeling clean, soft and nourished. I have written about this cleanser so many times and have a full review here, but all you really need to know is that it’s one of the few products I have been faithful to since it launched over 3 years ago now and it is something I will always have in my bathroom cabinet. Repurchase? Always and already have. Ingredients: Caprylic/Capric Triglyceride, Helianthus annuus (Sunflower) Seed Oil, Capric/Caprylic/Triglycerides, Water (Aqua), Glycerine, Propanediol, Glyceryl undecylenate, Aroma**, Sucrose Stearate, Decyl Glucoside, Oryza sativa (Rice) Extract*, Glyceryl Caprylate, Lactobacillus/Punica granatum Fruit Ferment Extract, Papain, Curcuma Zedoaria Root Oil, Magnesium Aluminum Silicate, Sucrose Palmitate, Zingiber Officinale Root Oil, Salix alba (Willow) Bark Extract*, Eugenia Caryophyllus Flower Oil, Sucrose Laurate, Abies PectinateLeaf Oil, Foeniculum Vulgare Oil, Aloe Barbadensis Leaf Extracts, Kaolin, Bioflavanoids, Leuconostoc ferment filtrate, Montmorillonite, Mica, Brassica Oleracea Italica (Broccoli) Extract, Superoxide Dismutase, Soybean Peroxidase, Citral, Citronellol, Eugenol, Geraniol, Linalool, Limonene *Ingredients from Organic farming **Clinical grade essential oils blend. Just like the Oskia cleanser, I have faithfully repurchased this countless times since it launched. It’s one of the very best cleansers I have ever used and is pretty much perfect for my combination skin type. I love to use this in the mornings because it’s light, refreshing and gently purifies the skin without causing any dryness. This has a similar gel/balm to oil texture as the Oskia cleanser, but this would be the more “active” of the two and is what I reach for when my skin is dealing with breakouts or inflammation. Even though I finished this up over a week ago now, I haven’t repurchased it just yet as I have plenty of other cleansers to use and I wanted to see how much I miss it. It’s expensive, but well worth the price and it probably won’t be long until I pick up another one. Repurchase? Yep, it’s gonna happen! Ingredients: Aqua/Water, Sodium Chloride, Zinc Sulphate. Clearly, I love toners because this is one of five I have used up since around May/June. Is that a lot? I can’t tell – five toners in about six months? Seems like it could be a lot, but at the same time, I use toners/mists like crazy over the summer and this was one I reached for often. Serozinc is pretty much a cult product at this point, but I’m pretty sure I’ve never reviewed it despite loving it for many years now. Even so, I don’t think there’s anyone out there who doesn’t know this product or hasn’t tried it thanks to Caroline Hirons, so I won’t say too much about it other than it works, it’s cheap and really helps to heal and soothe the skin. I used this a lot after my bad reaction and it just reminded me of how great this is. I got this super cute 50ml size from Escentual and always have one in my stash incase of a “skin emergency”. Ingredients: Aqua (Purified Water), Aloe Barbadensis (Aloe Vera) Leaf Extract, Phenoxyethanol, Glycerin (Plant), Sodium Dehydroacetate (Organic Listed), Cucumis Sativus (Cucumber) Fruit Extract, Panax Ginseng (Ginseng) Root Extract, Lactic Acid (Plant), Garcinia Kola (Kola) Nut Extract, Camellia Sinensis (Camellia) Leaf Extract, Olea Europaea (Olive) Leaf Extract, Chamomilla Recutita (Chamomile) Flower Extract, Rosa Damascena (Rose) Flower Oil, Citrus Aurantium Bergamia (Bergamot) Fruit Oil, Chamomilla Recutita (Chamomile) Flower Oil, Geraniol (Plant), Citronellol (plant). I really, really loved this toner and was so sad to use it all up, especially since it seems like the brand is pulling out of the UK. When I tried to repurchase this toner I found that everyone from Space NK, Content Beauty and Cult Beauty to Feel Unique and John Lewis have seemingly dumped their stock and it’s such a shame. 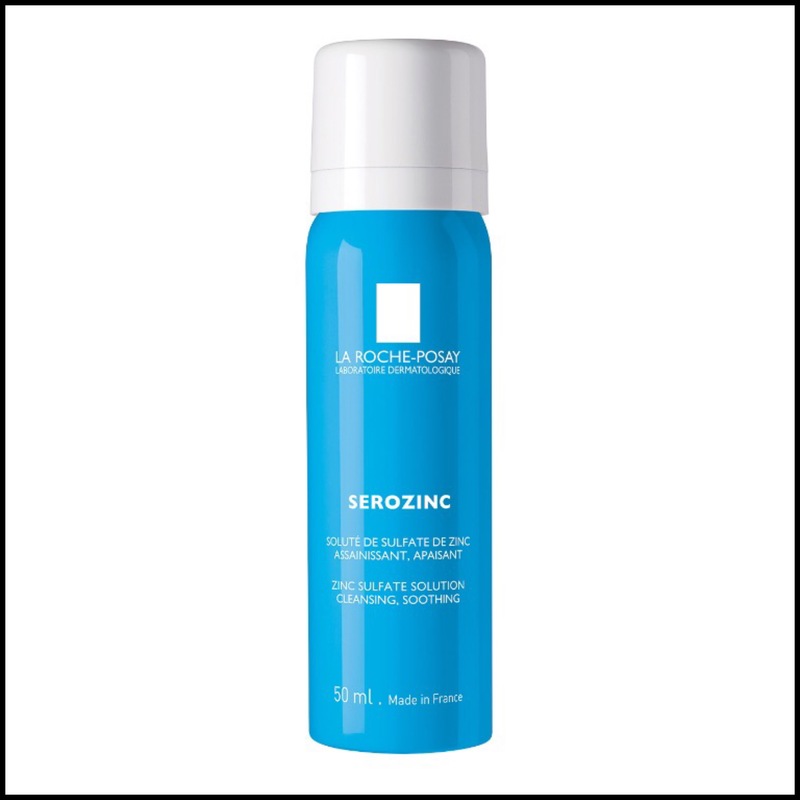 I love this product and love the brand and was excited to try more from them. Despite the big 200ml size of this it was so easy to use up. It’s alcohol free, has a great mix of ingredients like aloe vera, ginseng and camomile and left my skin feeling hydrated, balanced and soothed. I reached for this so much over the summer to refresh and protect my skin and it felt lovely, especially after I started keeping it in the fridge. If you can get your hands on this give it a go because it’s brilliant and completely underrated. Ingredients: Aqua (Water), Superoxide Dismutase, Pseudoalteromonas Exopolysaccharides, Mirabilis Jalapa Extract, Arginine, Propanediol, Glycerin, Butylene Glycol, Sodium Salicylate, PPG-26-Buteth-26, PEG-40 Hydrogenated Castor Oil, Citric Acid, Trisodium Ethylenediamine Disuccinate, Phenoxyethanol, Chlorphenesin. Toners are probably my favourite skincare category and I have a lot of them, so when this launched I knew I was going to like it. 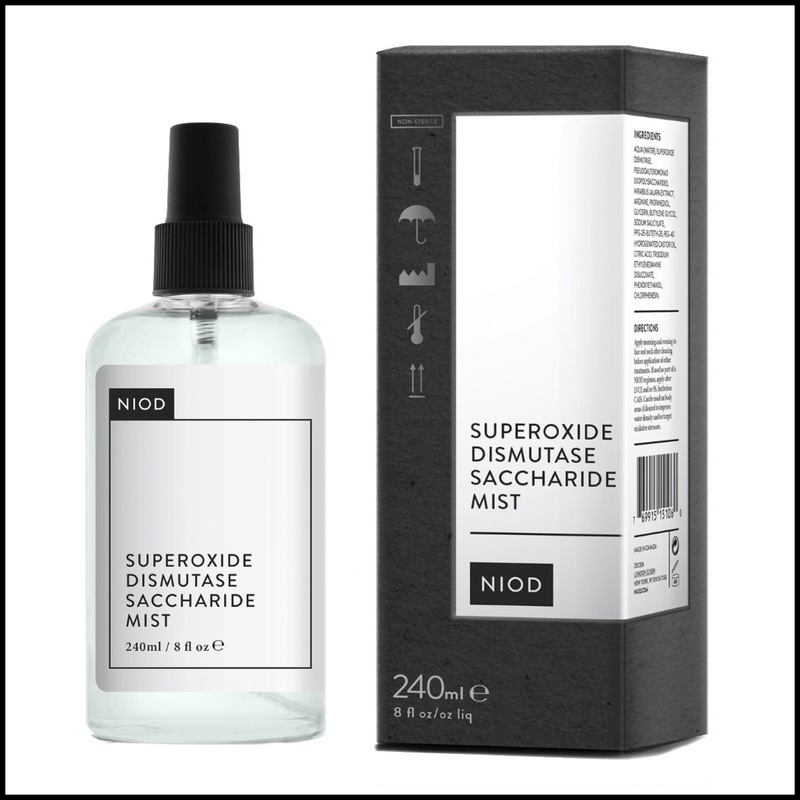 It is one of the best treatment mists I have ever used and I was not expecting to go through this massive 240ml bottle so quickly, but I did and it shows you how often I used it. Unlike the other toners/mists I have and I love, this is in a league of it’s own. It’s super hydrating, massively anti-inflammatory and made me fall even more in love with CAIS, which I did not think was possible. I have done a full review on this here, but after using up a whole bottle, I can easily and happily highly recommend it even more. 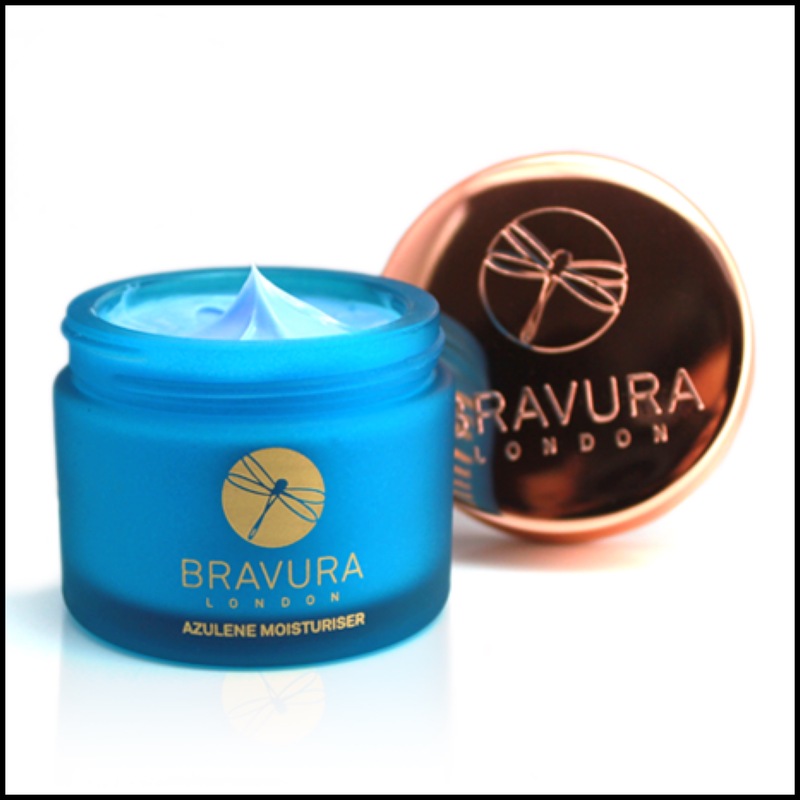 It is a fantastic product and will be so good for the upcoming colder months when my combo skin will need hydrating and protecting from the elements. I couldn’t love this mist more and you really have to try it. 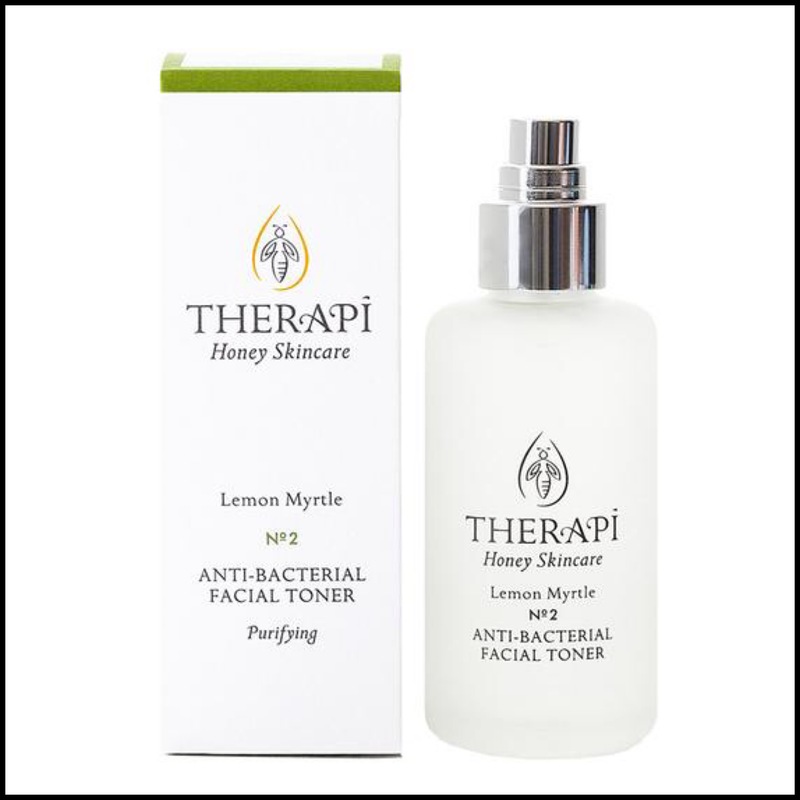 Ingredients: rosa centifolia (provence rose) concentrate†, alcohol (from sugar cane denatured with lavender oil)†, salix alba (willow) bark extract, phospholipids, ascorbyl palmitate, chamomilla recutita (matricaria) flower extract, rosa canina (rose hip) fruit extract, calendula offcinalis (calendula) flower extract, glycerin, aloe barbadensis (aloe) leaf powder†, melaleuca alternifolia (tea tree) leaf oil, ascophyllum nodosum (seaweed) extract†, fragrance (parfum)*, linalool*, limonene. *components of 100% pure natural fragrance and/or steam-distilled/cold-pressed essential oils. †certified organic total organic content: 12.7% contains botanicals which make up our SSS technology™ & calming complexion complex™. I absolutely love this toner and was so happy to have it again, but I went through it so quickly and it’s so expensive! This toner breaks my heart because it’s such a great product, but the packaging is not practical and the 100ml “travel size” doesn’t last long at all. I reached for this so often over the summer, which is why it’s all gone and I love how it purified and healed my skin without making it dry or irritated. 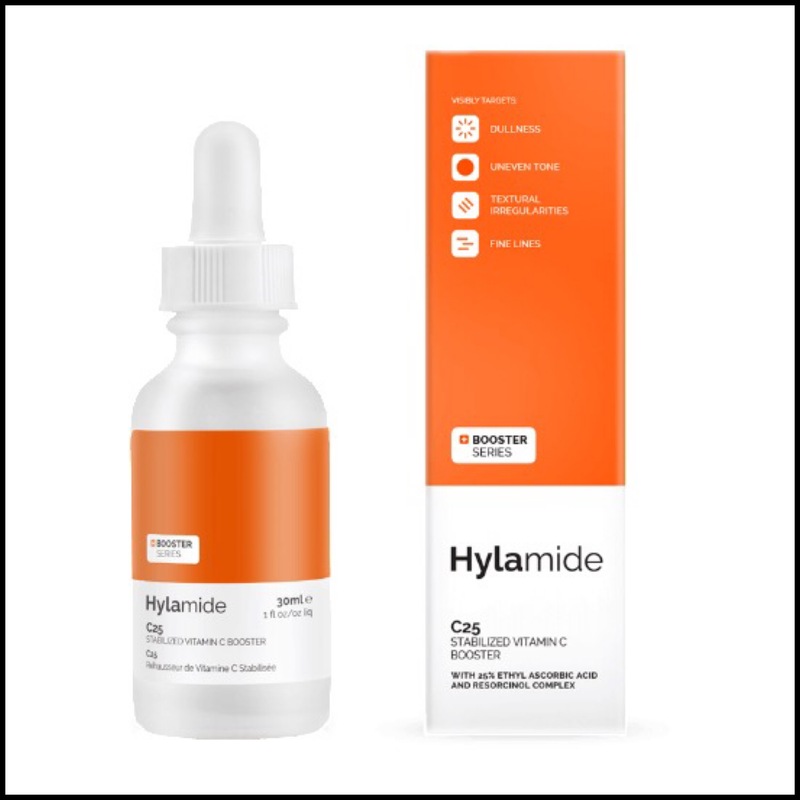 I haven’t repurchased it yet simply because I find the price a tad prohibitive and I’ve also got my eye on the new Pore Flush toner from Hylamide which has just appeared on the site. I’m hoping it will be a cheaper alternative to this, but if it’s not, I am sure I will buy this again. Repurchase? Probably will, but not yet. Ingredients: Hamamelis Virginiana (Witchhazel) Water*, Rosa Damascena Flower Water*, Alcohol*, Decyl Glucoside, Citrus Grandis (Grapefruit) Peel Oil*, Mentha Piperita (Peppermint) Oil*, Backhousia Citriodora (Lemon Myrtle) Peel Oil*, Parfum*, Limonene+ * Organic + Naturally occurs in essential oils. Unlike the moisturizer from this lovely little brand, this toner was total love from start to finish. It has a short but sweet ingredients list and I used it excessively over the summer to help keep my skin clear and shine free. 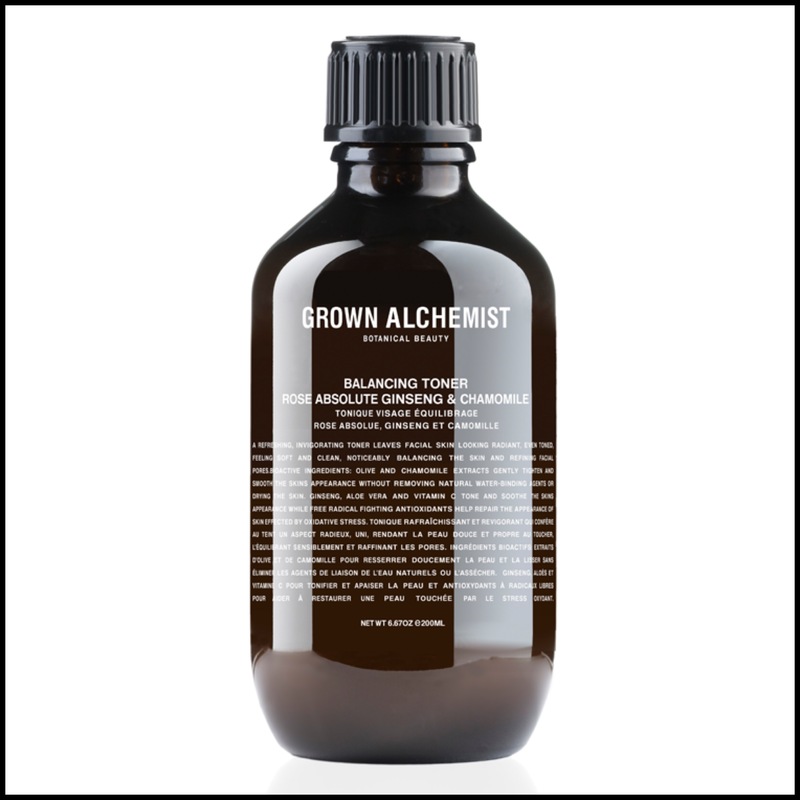 Usually I don’t like alcohol in my skincare products, but with this toner I didn’t notice any adverse reaction, thankfully. The only thing that I would change about this is the spray – it’s not as fine as I like, but that was in no way a deal breaker as I easily swapped the top for a different one (seen here) and I was good to go. This is very similar in effect to the Suki toner, just with different ingredients and at a slightly lower price point, so either would be good for combo, oily or acne prone skin. I now have a travel size of this that I keep in my “on the go” beauty kit and would have another full size already if I wasn’t already using and loving the Hydrating Orange Blossom Toner. Repurchase? Not right now, but probably will do in the future. Phew! That’s everything! I really shouldn’t leave my empties to build up like this, but summer just flew by and now Christmas is upon us already! It was actually fun to look back and see how much I managed to finish up, despite how many products I have in rotation. It feels like an accomplishment, right?! I would love to know what you’ve recently finished up and loved, and if you have any more questions about anything here, please feel free to ask! Oh, and there’s a non-skincare empties in the works, so check back for that one! 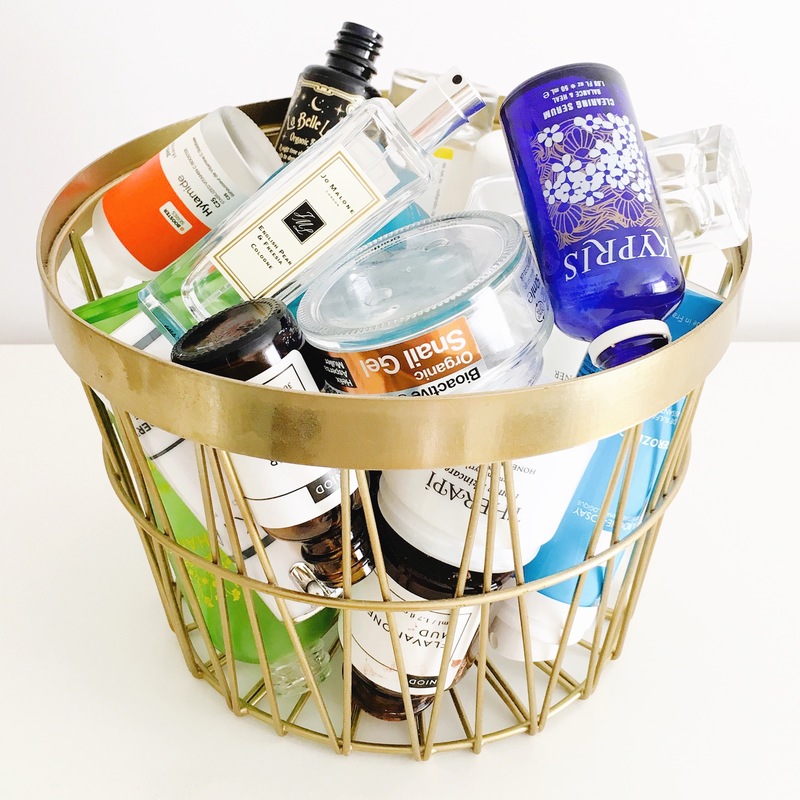 Damn – that’s a serious empties bin! Great post – lots of options I’d love to try here. Love this post! So many I love or want to try myself listed so thank you for the shopping list! Love love to read empties reviews, and I stop a few favs here and some I haven’t tried yet. Helped to make the decision as to weather I should try them by you here. I hope you feel better dear.